"This level of generosity is unprecedented in Canadian history. 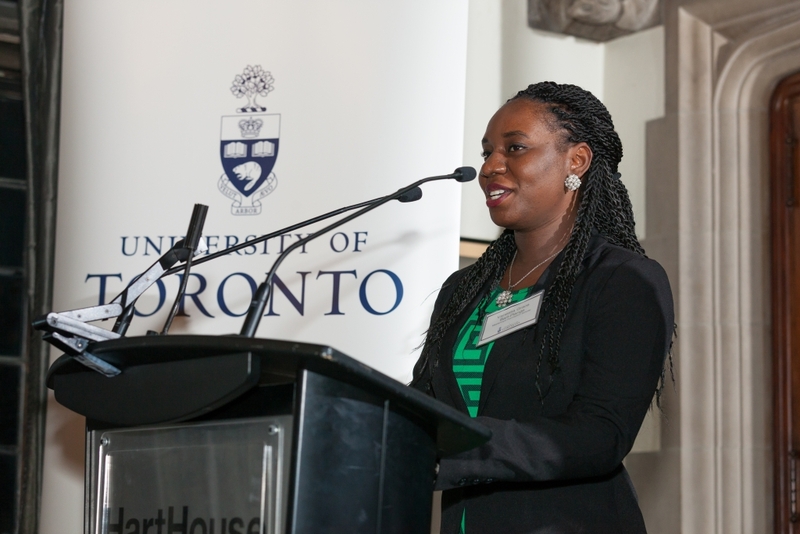 It speaks volumes to the confidence our donors place in the University of Toronto to make a difference in the world." Thank you, Shirley, Rose and Wendy for your kind and thoughtful remarks. You are all extraordinary University citizens, and we are all the very fortunate beneficiaries of your tremendous leadership and commitment. It’s truly heartening to see so many dedicated supporters gathered together to celebrate the power of giving in propelling this great University forward. It was only five years ago that we launched the public phase of the Boundless campaign. 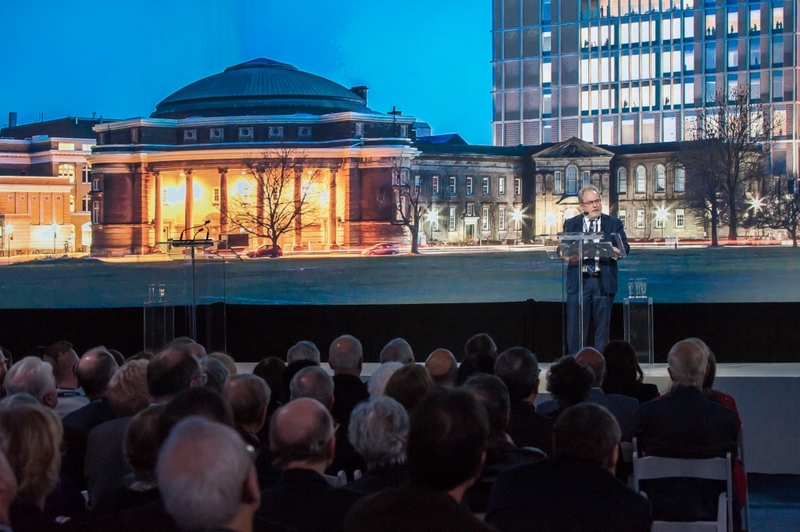 Our community rallied around a vision for U of T’s global leadership and impact, supported by a $2 billion fundraising goal, unprecedented in Canadian history. And we did so coming out of the greatest global recession in almost 100 years. U of T, and that our supporters were—and continue to be—resoundingly confident in the University’s future. It may be in recognition of the essential role of philanthropy in the pursuit of excellence and innovation. These are the building blocks of progress, stability, peace, and prosperity, powerfully shaping Canada’s future and the world around us. Over the years, philanthropy has sustained and strengthened U of T, leaving an indelible mark on each chapter of our history. Philanthropy rebuilt University College after the Valentine’s Day fire of 1890. It laid the foundation for Convocation Hall, Hart House, and Soldier’s Tower. In more recent years, it helped elevate U of T to a place among the top universities globally. Boundless, in fact, aptly describes our community and what we can achieve together. And to our donors’ desires for measurable impact. And indeed, the impact of your giving is felt in every corner of our three campuses. It has fueled enormous change and innovation…and touched the lives of countless students and families…here and around the world. This includes pace-setting benefactions that are advancing Toronto’s leadership internationally in fields as diverse as architecture and urban design, astronomy and astrophysics, high performance sport, innovation and entrepreneurship, public health, social work, and more. 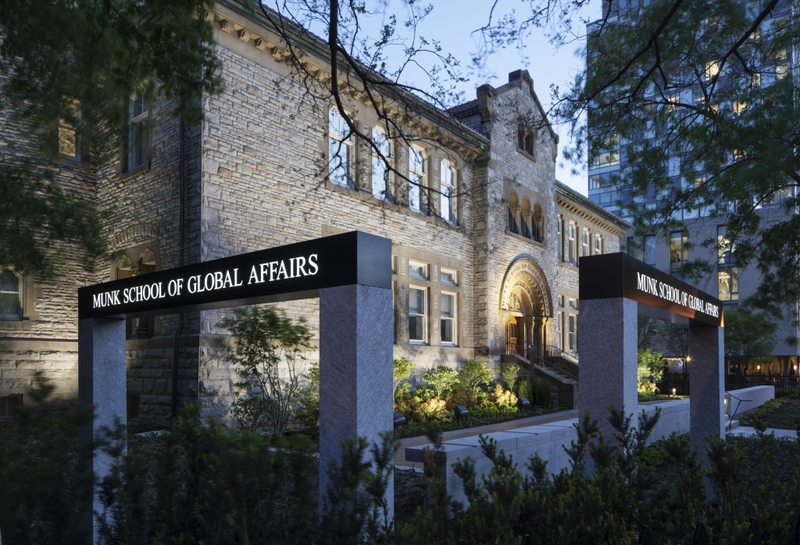 Gifts such as Peter and Melanie Munk’s donation to the Munk School of Global Affairs… the first major benefaction in this country post-recession, bravely announcing the return of philanthropy at the highest levels of generosity… and amplifying Canada’s voice on the world stage. 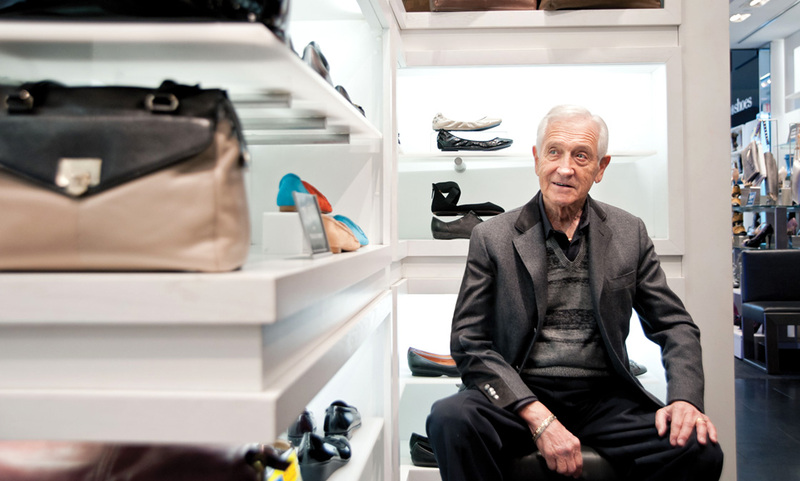 Another example: the remarkable donation announced earlier this year from the Rotman family to stimulate bold initiatives for prosperity, innovation, and leadership development. This gift speaks to our uniquely strong track record of collaboration across Toronto’s vast biomedical network, as do other recent gifts to medical psychiatry, cell biology, indigenous health, child nutrition, neurodegenerative disease, and early human development. Visionary benefactions like these place U of T at the heart of the some of the most consequential challenges facing our world. The collective generosity of our community is also transforming the physical nature of our three campuses. The most recent jewel in our crown: the Jackman Law Building—a beautiful new landmark overlooking Queen’s Park and Philosopher’s Walk, creating a substantially enlarged home for U of T Law, finally commensurate with its world-class standing. Next to open is the new Daniels Building… a brilliant reimagining of one of the city’s most iconic places—One Spadina. Beautifully blending historic and contemporary architecture, it is where the future of built environments will be explored. 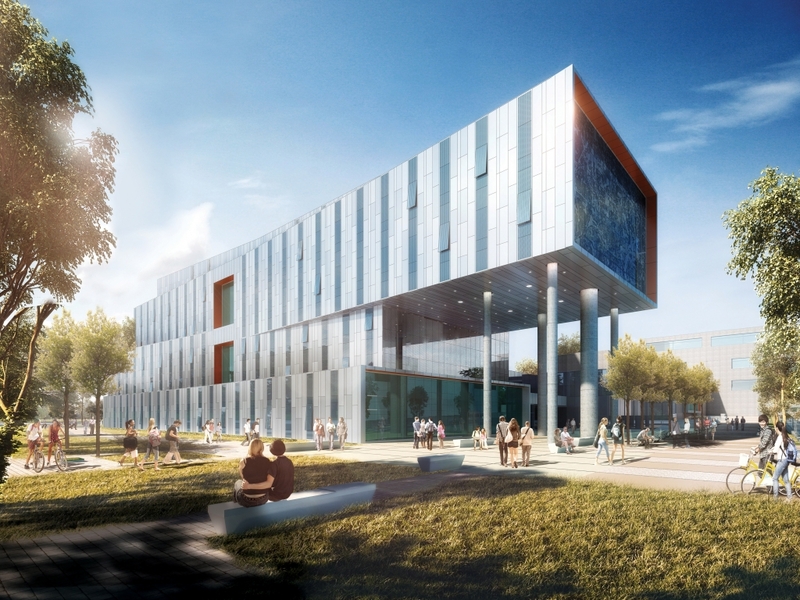 Soon, we will see the new Centre for Engineering Innovation and Entrepreneurship open on St. George—a highly collaborative and inter-disciplinary environment to inspire the next generation of global engineering leaders and innovators. At U of T Scarborough, the new Highland Hall will catalyze leading-edge research, teaching and community engagement in the study of suburbs, migration and globalization. 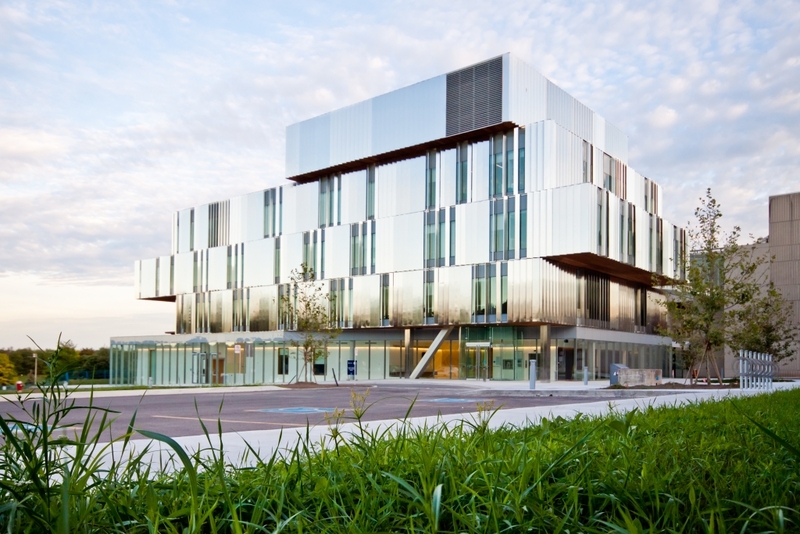 While at U of T Mississauga, the Terrence Donnelly Health Sciences Complex is already helping address Ontario’s critical shortage of trained physicians through the new Mississauga Academy of Medicine. More than just bricks and mortar, these facilities—and the many buildings you see behind me—are fundamental to the success of researchers and students. They foster inspiring collaborations, discoveries, learning, and encounters, both planned and unplanned. At the heart of all these gifts, whatever their purpose, are our main beneficiaries—our students. Such gifts have a substantial multiplying effect, creating opportunities that change the course of many young lives. MasterCard Foundation Scholar Vanessa Grace Bart-Plange, for instance, is one of 67 African students supported through a remarkable donation from the MasterCard Foundation. With more than 3,400 scholarship funds created or enhanced through Boundless, there are literally thousands of stories like this, where our students’ lives have been dramatically lifted by your generosity, whether for indigenous students, for students who are first in their family to attend university, or for others with insufficient means but a genuine talent and thirst for learning. One last example of impact: The Boundless campaign has also helped fuel an incredible surge of alumni pride and affinity across our global community, along with record numbers of alumni including us in their legacy plans, and record annual fund results each year for the past five years. In the past year alone, 89,115 alumni participated in U of T programs worldwide, including 10,494 alumni serving as volunteers and mentors. And our annual fund receives gifts from more than 20,000 alumni annually, many of them long-term members of the President’s Circle, and has now surpassed $12 million per year—equivalent to the payout on a $300 million dollar endowment. 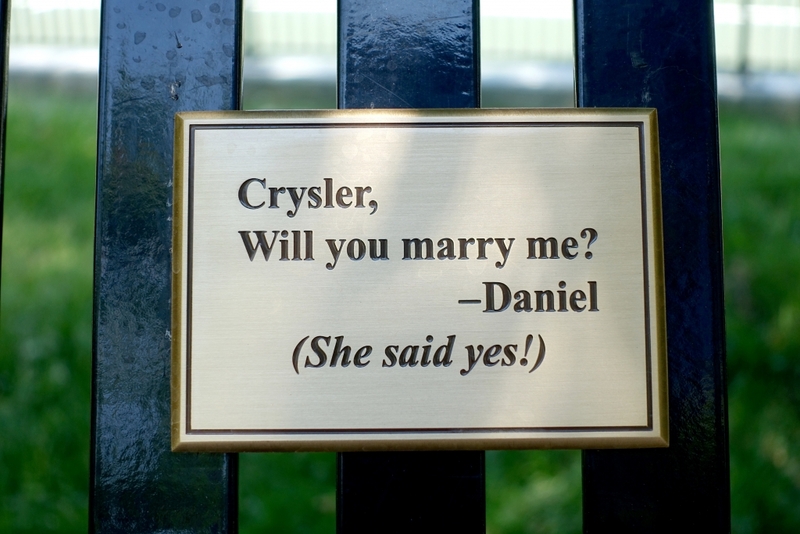 But I can’t resist telling you about two young alumni named Daniel and Crysler, and a very special gift related to this bench on Whitney Walk, which Daniel dedicated not once but twice! 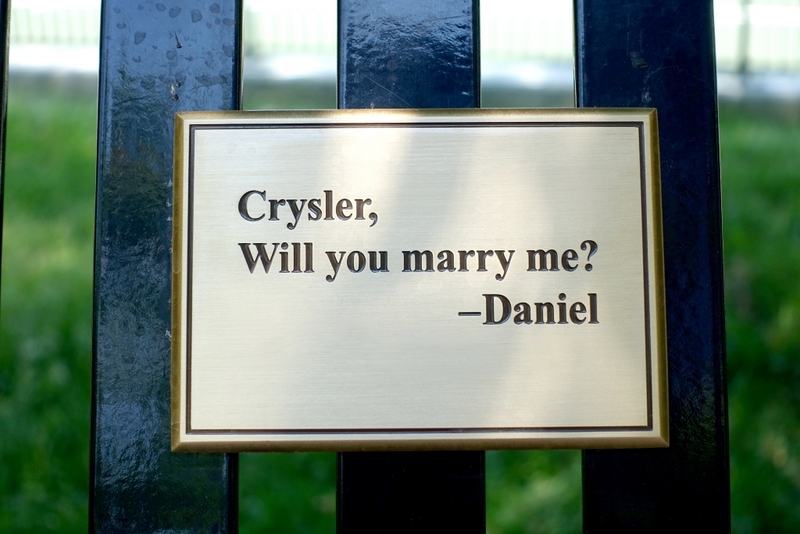 I’m told Daniel’s careful plans almost went awry when they met up at the bench to find it already occupied by someone else! This story is another great example of how U of T can be such an integral part of people’s lives…where a great education leads to a lifetime of relationships that enrich families, lives, and careers. In closing, I hope I’ve given you a glimpse of the truly boundless impact of this campaign to date. This level of generosity is unprecedented in Canadian history. 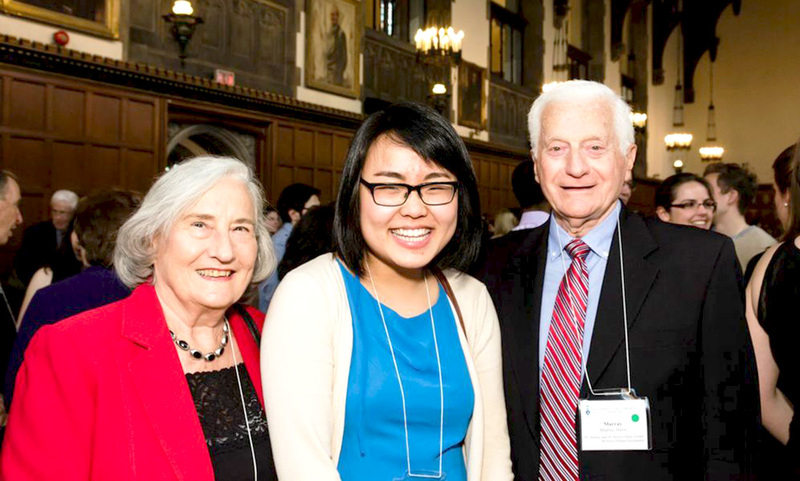 It speaks volumes to the confidence our donors place in the University of Toronto to make a difference in the world. So let me say, above all, thank you. Thank you on behalf of our students, our faculty, our staff, and fellow alumni and donors, for your steadfast support. Your passion and commitment inspire us all.